If you’re been joining me this week for my birthday SALE-A-BRATION, welcome to day 5 of our little weeklong event! I think this is the most consistent I’ve posted since starting this blog 5 years ago. I need to get better about that. I forget how much I love it sometimes!!! 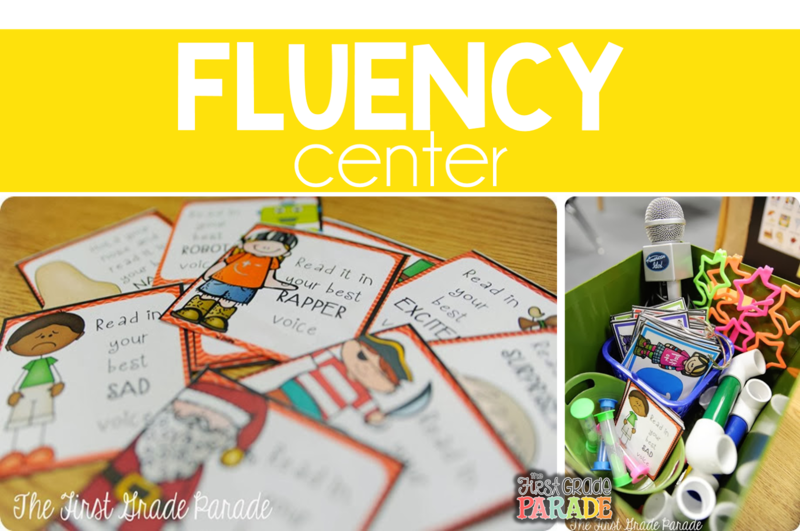 Today we’re talking all about fluency and phonics. First we’re focusing on phonics and then we’ll get into the fluency portion. 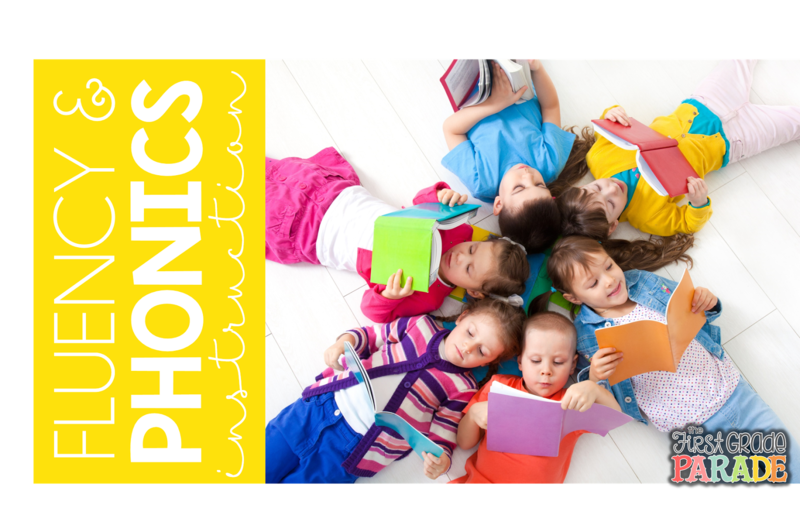 Do you have a specific phonics curriculum you follow in the classroom? Saxon? Horizons?? Or do you just make it up as you go? I’m asking because I’m genuinely curious. I’ve only taught in one district where we were required to follow a phonics curriculum. If I’m being honest, I didn’t think it was effective or appropriate. I feel like it’s more important to know your kids and their abilities/needs before determining how you are going to approach phonics instruction. Maybe that’s just because I didn’t like the curriculum and I was more comfortable doing it “my way”. Not that it was the right way, but it was the approach with which I was more familiar. My kids learned. And they learned a lot. I differentiated my phonics instruction as needed. My kids were never all on the very same page with the very same skills, so differentiation was a must…as it is with most subjects. 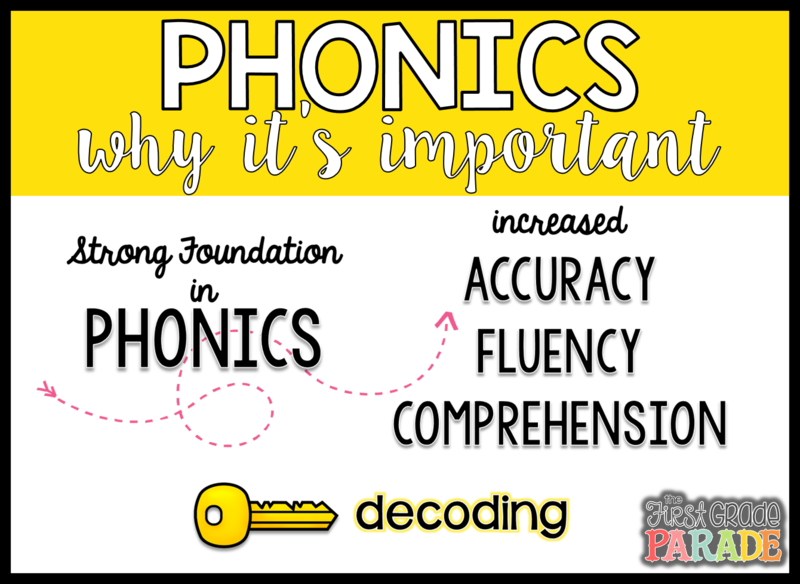 If you read my first Phonics Friday post this summer, you might remember saying that there are two schools of thought when it comes to phonics instruction….some of us think it’s valuable, some of us think it’s not. I think we could say the same thing about everything we do as educators,right?! Now let’s look at the WHY. Why do I, and many other educators, feel that phonics instruction is important? In my experience, I have seen that a strong foundation in phonics typically increases a student’s accuracy, fluency, and comprehension. All key components in become independent readers. The key to establishing a strong foundation in phonics is giving our kiddos many opportunities to decode words both in and out of context. But seriously…how do we fit that in?! Direct, explicit instruction happens during our whole and small group time together. It’s during these times that I teach my kids specific phonics skills. I introduce these skills and we practice them. They’re constantly reinforced. Most of the independent practice they get with phonics skills happens during our literacy stations. They get LOTS of opportunities to independently decode words both in and out of context. 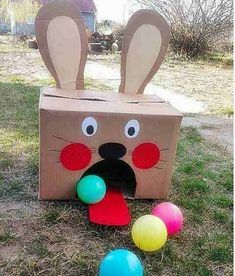 This happens through hands-on games and activities, interactive journals, puzzles, and lots of other activities. With constant reinforcement, practice, and repetition, a strong foundation in phonics is inevitable. 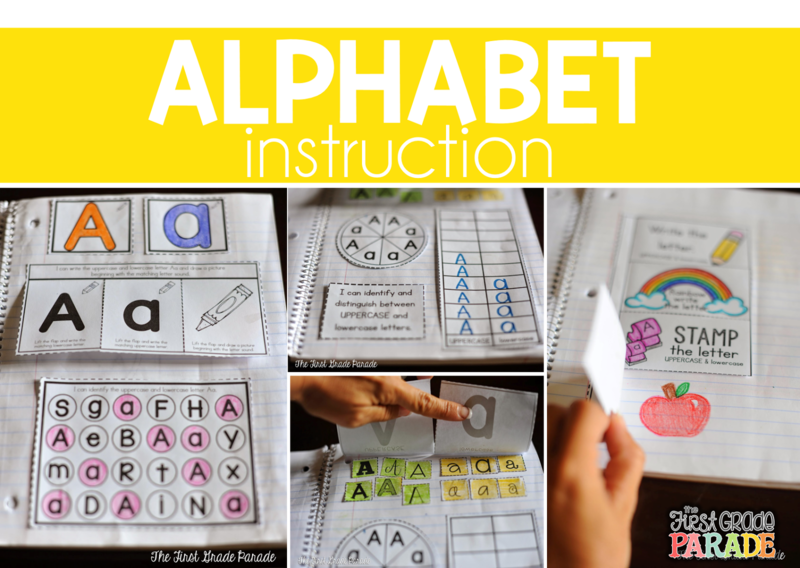 The first step in establishing a strong foundation in phonics is alphabet instruction. Our kids need to have a working knowledge of letters and letter sounds and need to know these concepts like the back of their hand. They need to be able to identify letters and link them to sounds with automaticity. This is the first step. You can read more about this alphabet notebook and see it in action HERE. If you want to read more about how I teach the alphabet (NO letter of the week!!!! ), you can check out a detailed description HERE and then be sure to check out the follow-up post to that HERE. Then we incorporate short vowel/CVC word skills and concepts into our daily routine every.single.day. Morning work, calendar, whole/small group, shared/interactive writing, literacy tubs, etc. I give my kids opportunities to work with short vowel (manipulate and decode words) all year long. They have lots of independent practice and review during literacy tubs. I create lots of activities to fit their needs and ability levels. Lots of activities that give them opportunities to decode words in and out of context. First, we start with sorts. The key to establishing a strong foundation in these skills is consistent and repeated opportunities for practice and reinforcement. 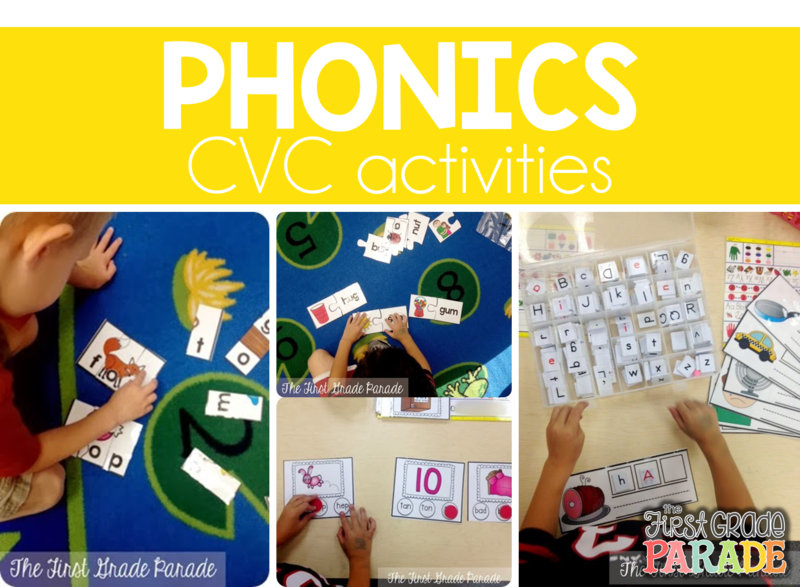 You can see more of these CVC activities in action HERE. 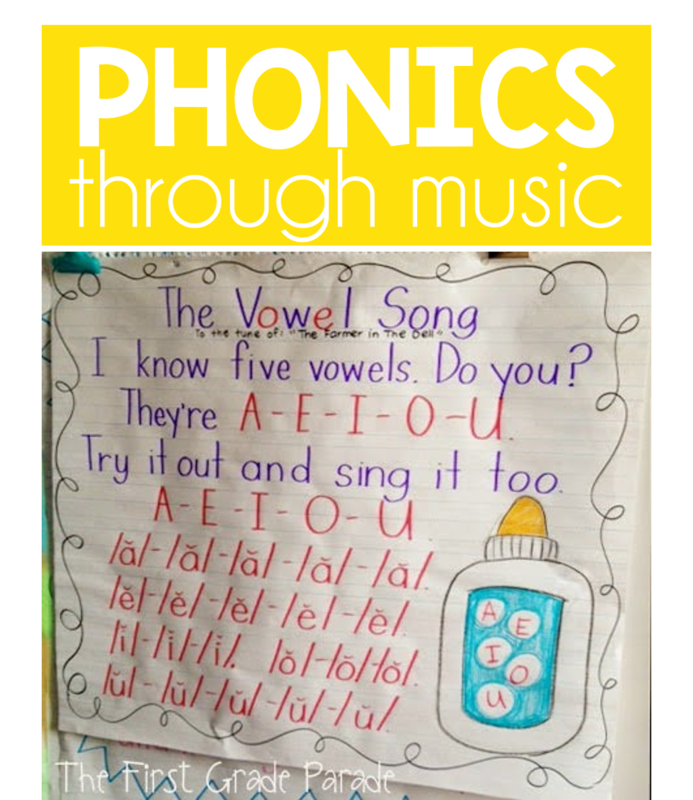 You can read more about these short vowel activities HERE. 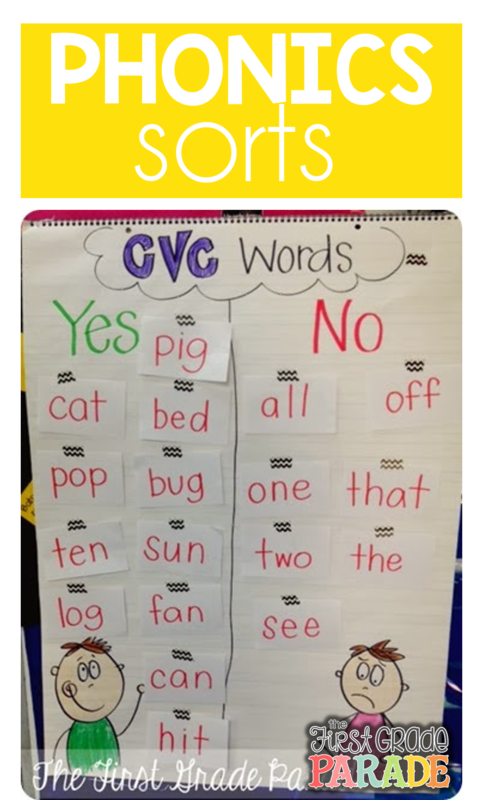 When I can tell that the majority of my students have a strong understanding of short vowels and CVC words, I introduce long vowel/CVCe words. Again, this is done through direct, explicit instruction first. Then we move on to independent practice through hands-on activities in literacy tubs. Whole and small group activities also help me to reinforce this concept. 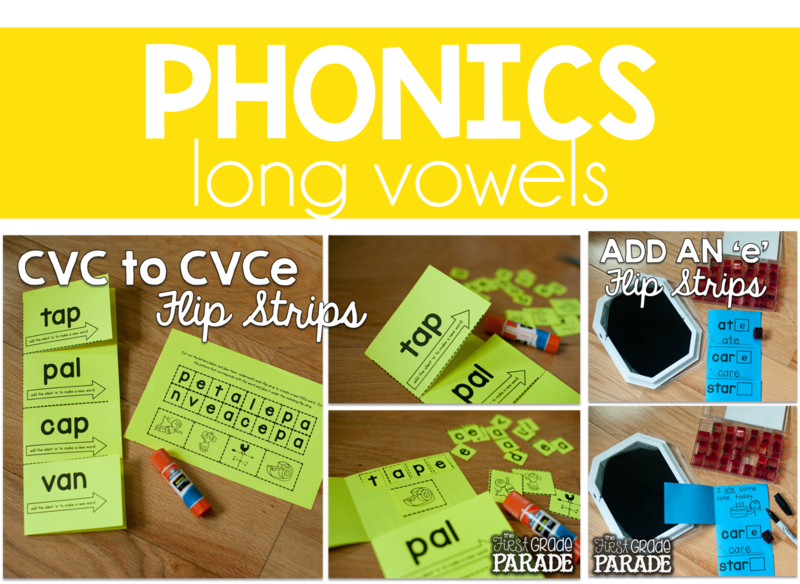 You can read more about some of these long vowel activities HERE. 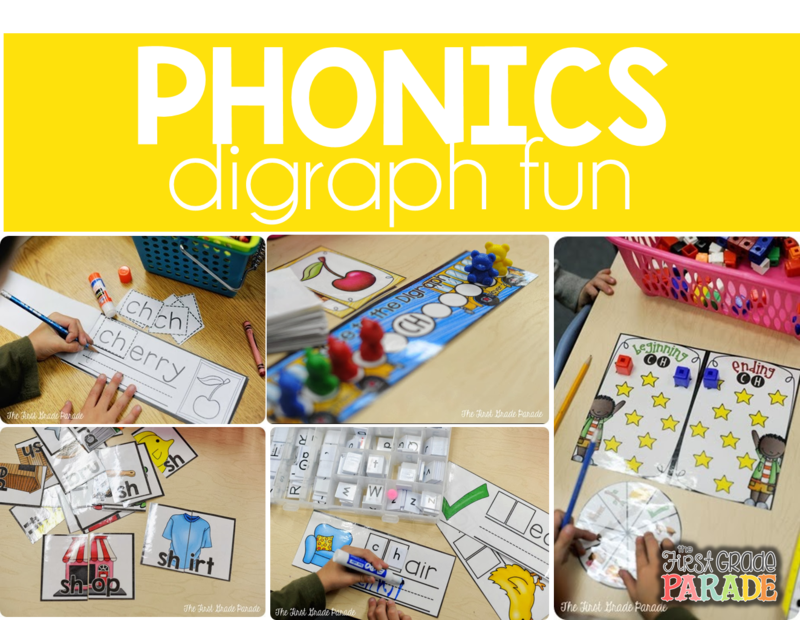 Blends and digraphs also play an important part in my instruction. We see so many words in context with our guided readers that have these phonics patterns that I want my kids to be familiar with them so that they can practice identifying and decoding those words when they see them. I want my kids to be successful when learning to read and I need to be able to provide them with the tools to become independent readers. 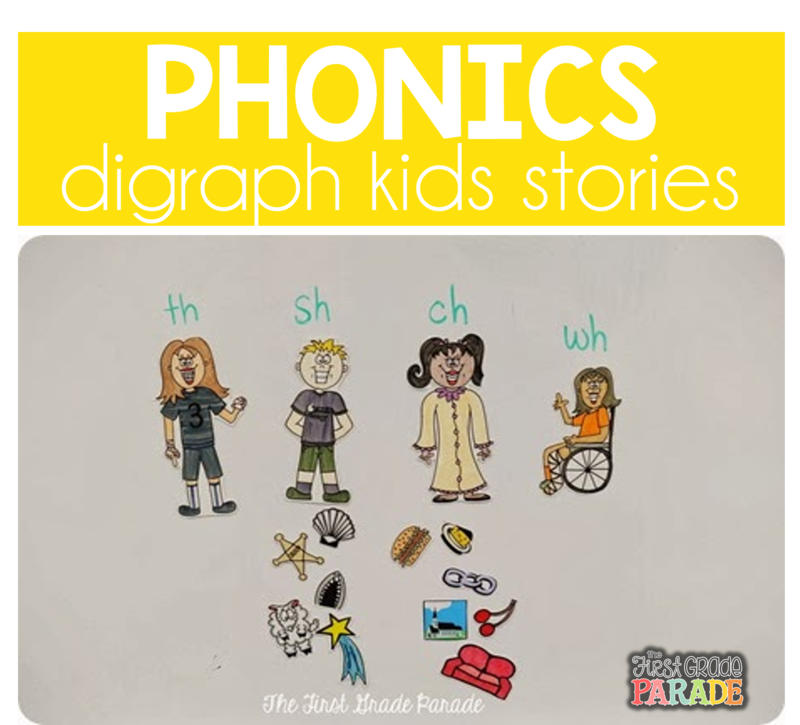 You can see more of my digraph fun in action HERE. Many of these phonics skills can be difficult to understand at the onset. When I started teaching 13 years ago, I realized I had to think outside the box if I wanted my kids to grasp concepts that were challenging. Since that first year in the classroom, I’ve created lots of different ways to introduce and explain concepts and skills. Different ways to engage all of my learners….many of these through characters and stories. My kids always LOVE a good story and tend to connect with them and recall them when trying to recall specific skills/concepts. Now what does it mean when we finally have a strong understanding of these phonics skills? What do our kids actually do with this knowledge?! Well, once they’re able to decode words both in and out of context, their reading accuracy, comprehension, and fluency enhances. 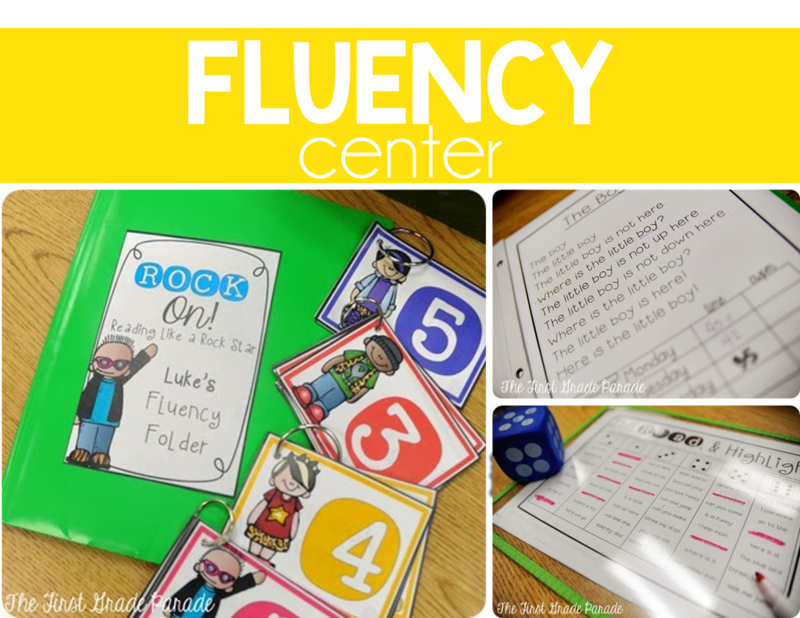 I’ve done lots of things in the classroom to improve my kids fluency over the years, but the best thing I ever implemented was my fluency center. 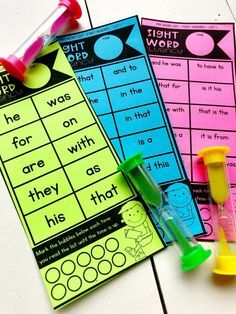 I wanted my fluency materials to reflect the sight words we were studying (Dolch words), so I created a set of leveled fluency cards containing only the sight words from each Dolch list. So, not only were my kids using this center to become fluent readers, but I noticed a significant improvement in their sight word recognition as well. Win, win! In addition to Readers Theater, my kids keep a fluency folder filled with various fluency passages. These passages give my kids the opportunity to compare their reading time during the span of a week. They love trying to beat their previous time and I love that their fluency improves day to day. They also love their hands-on fluency games I keep in this center, too. 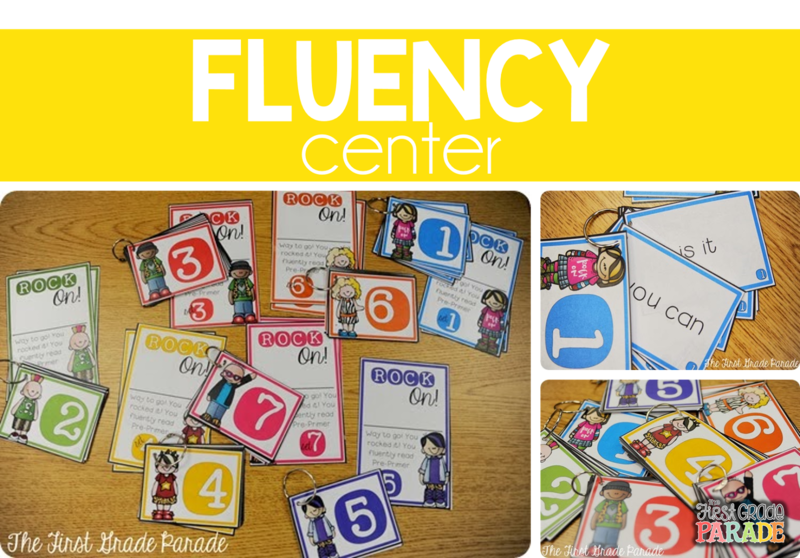 If you want to read more about my fluency center, you can check it out HERE. 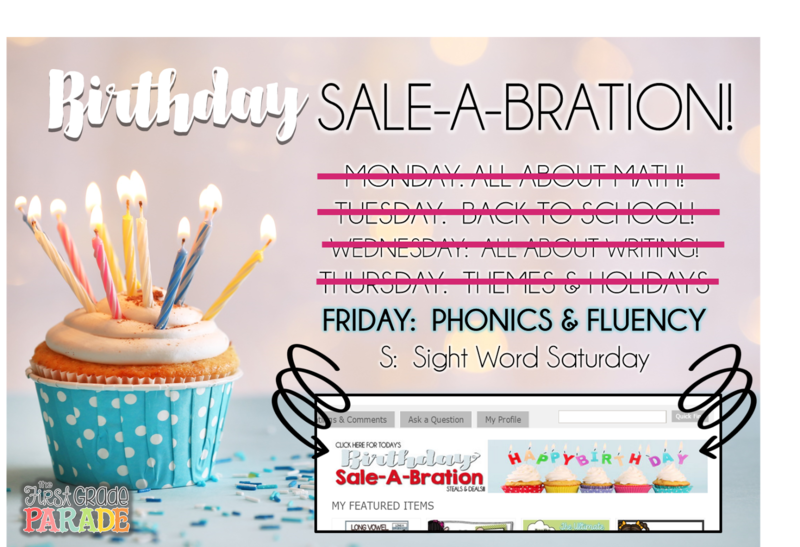 Thanks for reading and just in case you stuck around ’til the end, here’s a little deal for you 🙂 Today’s birthday SALE-A-BRATION includes all of my fluency & phonics resources…everything mentioned above plus lots more! It’s all 20% OFF today only! You can visit my store to check out all of today’s steals and deals. Don’t forget to stop by tomorrow for the last day of our birthday SALE-A-BRATION. 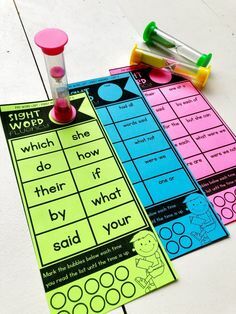 We’ll be ending the week talking about sight words…my favorite!!! Until then, have a GREAT day! See you tomorrow! You are amazing. I have pinned like your whole post! LOL. 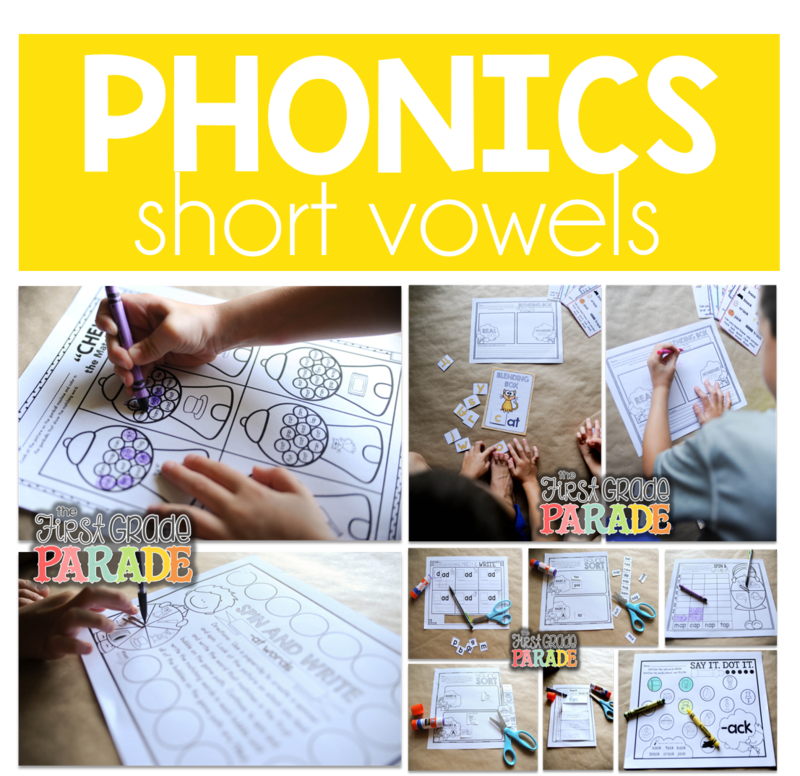 I can't wait to use some of your phonics activities with my littles this year! I always enjoy reading your posts. My school uses Saxon phonics. While there are many things I do not enjoy about it, I have to say that most of my students leave first grade reading well. Is this the phonics program? the reading program? our guided reading groups? our sight word practice? I don't know which one is key. I do like your ideas though and will come back to read this again. You've given me some things to think about the next week or so. Thanks for blogging. My district uses Macmillan McGraw Hill Treasures which has a large phonics component. I do follow the suggested scope and sequence, but I supplement instruction with my own routines and activities and differentiate as needed. Looking forward to checking your producers out- thanks! I absolutely LOVE reading just about ANYTHING you write! I feel like it's just a mini professional development every single time. And after following you for 5 years now, I'm still learning from you! Thank you for always being so insightful and sharing your passion!! I just found your post about phonics instruction. Im at a school that uses Saxon Phonics, I strongly feel that phonics is very important , but not in a whole group setting because I have student who are on different levels and get lost in the group lesson. According to Saxon it should last 45 minutes or longer…. How do you feel about doing phonics in small groups?